Global Cities, Local Streets: Everyday Diversity from New York to Shanghai, a cutting-edge text/ethnography, reports on the rapidly expanding field of global, urban studies through a unique pairing of six teams of urban researchers from around the world. 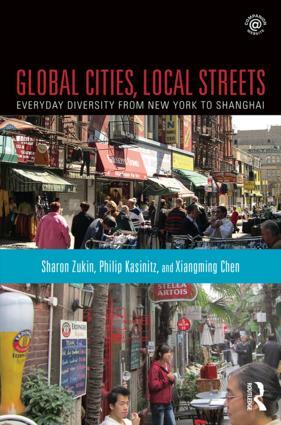 The authors present shopping streets from each city – New York, Shanghai, Amsterdam, Berlin, Toronto, and Tokyo – how they have changed over the years, and how they illustrate globalization embedded in local communities. This is an ideal addition to courses in urbanization, consumption, and globalization.. The book’s companion website, www.globalcitieslocalstreets.org, has additional videos, images, and maps, alongside a forum where students and instructors can post their own shopping street experiences.